Custom Android launchers are very popular nowadays. That’s why so many Android developers and developing farms are releasing their launcher themes in recent times. But if we compare, all the launchers are not even close to Nova launcher themes in terms of popularity and quality as well. Usually, it is a perfect and beautiful theme as per as likewise, qualitywise, customizable with a lot of Nova launcher setups and icons. So we can change or setup as we like. But with a lot of Nova launcher available in the app store, it will be very hard to choose a perfect launcher for us. Don’t worry. We are here to help you out. Our experienced team members research a lot on the best Nova launcher and pick the top Nova Launcher themes for you. But before going to the main topic, we would like to discuss some simple and basic fundamentals. It will surely help the new users definitely. 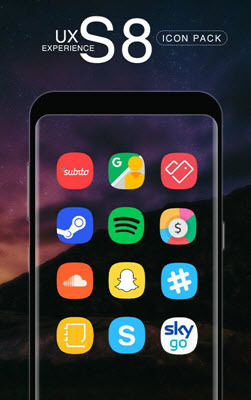 Nova Launcher Item Pack: Nova Launcher theme comes with a set of items such as icon pack, specific color scheme, additional wallpapers in one individual setup or pack. And those are different from each other. So, when you download one specific launcher theme, you basically get those items in this theme. You just need to install this, choose and set up the wallpaper and change the overall color scheme manually. It is a simple process and takes just a couple of minutes to set up. Unpopular or New App Icon Issue: Yes, there is a small issue regarding unpopular and new app icon in Nova. Nova Launcher cannot cover all apps with its designing custom icons; it works great with main and popular applications but falls short for unknown apps. But available workarounds can fix your problem for the unknown app. You can eliminate misplaced icons with it and replace with your needed one. 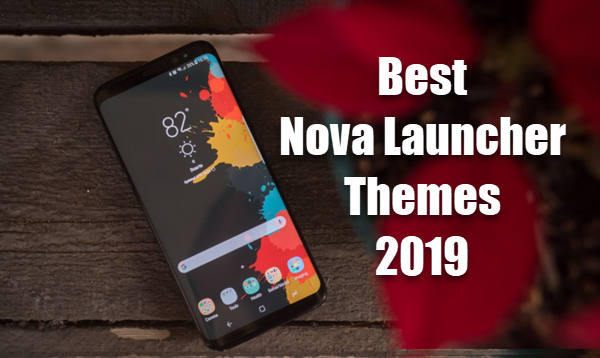 In the next portion, we will discuss our picked top 15 Nova Launcher Themes 2019. Hope you will like it. 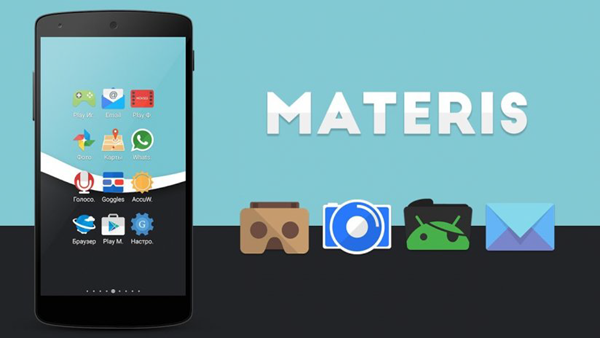 It is a simple but effective launcher made with the material design developed by Google. 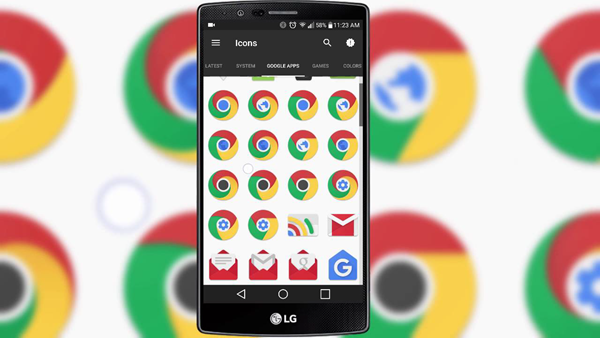 It comes with the simplistic interface, Google material design implemented icons and so on. The best part of this setup is that the icons are very detailed and made with great care. Here you will find 1070 icons with different color variants for some application. It has a collection of 20 different phenomena wallpapers which back and complement the icons pack very well. You should try this once. Polycon is another complete launcher from Nova. It offers 800 different vector icons that fit with any screen size and resolution as well. The most important part of this launcher is that you will get a server-based icon requesting system here with custom folder icons, custom app drawer icons etc. It also pursues Google material design like CandyCons in term of making icon pack and wallpaper. Additionally, the wallpaper of this theme complements with the icon pack such as that it shows no effect when you change the colour of the theme. Another important thing of this launcher that it has custom dashboard design to do more customization. We all know that material design makes a huge hype around the world because of its unique and fantastic design aspect. Materis launcher also follow this for design purpose to make their wallpaper (find more superhero wallpapers here) and icon packs. This portion is crafted expertly for fabulous color palette and shadows. It offers over 70 wallpapers in their pack. Besides this, you will also get over 920 icons in their icon pack. 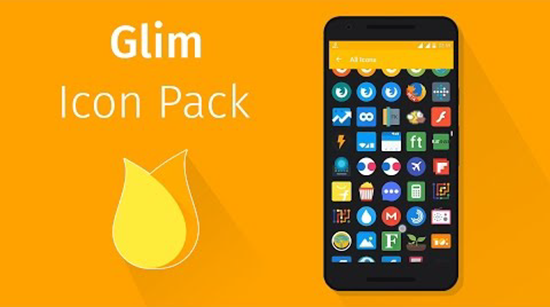 This combination will give a perfect and amazing look to make your Nova launcher theme. Option to request more icon packs, dynamic calendars and regular updates available here also. 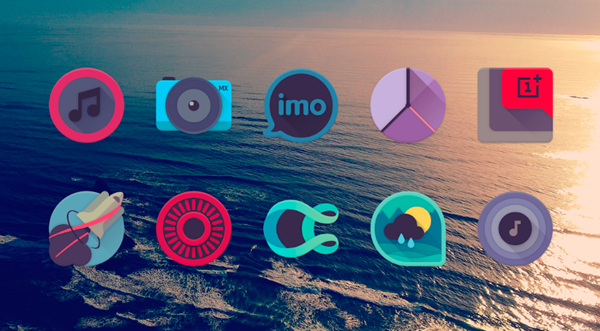 Our next pick from Nova is Lines launcher, which is specially made for simple launcher loving people. The name of this launcher comes from the line design pattern in making icons and others. One of our teammates is using it for 9 months and he is very excited, every time we ask about this. It is based on a minimalistic design approach and the combination of black and white theme makes it extremely beautiful. The pair of simple minimalistic icons and wallpaper can work in any condition. The common pairs are Blue and white, Red and white and purple and white etc. You also get 100+ wallpapers here also. Varal is a well-known launcher which gains its popularity for its dark styled icons. The look of this launcher is amazing with Shadow-styled icons and different as per as other material designed launcher. Most interestingly the icon pack is very versatile and capable of applying itself automatically to your launcher. It offers more than 200 wallpaper that easily fits with the icons. If you wish, you can also use alternate icons also. It is a special launcher inspired by Samsung user interface. You can get all the Samsung icons here. Availability of TouchWiz UI icons from Samsung Galaxy S8 smartphones is the main attraction of the Ux S8. The icons are rounded here. You can get a lot of combination of wallpapers and icon packs here. Just pick one which is fit to your vision. Our next one is Pix UI Icon Pack. It has the biggest number of icons of all Nova launcher; contain over 6900 icons in their package. 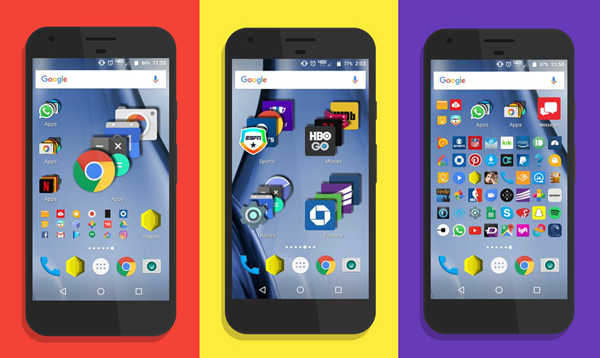 It features uniform flat icon design that can fit in any wallpaper. The resolution of the icon is 192 x 192 pixels which come in different categories. If you need, you can get matching widgets by installing an add-on from the Google Play Store. called Another Widget. Are you looking for handcrafted icons? 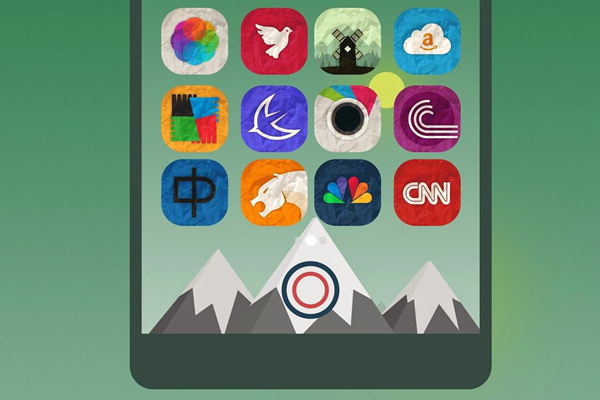 The Delta icon pack has over 1400 handcrafted icons. Moreover, the design of the icons are simplistic, smaller and give you a smart view. It also enables retro flavor due to its flat design and polished look. Aris can be a great choice who loves to customize his phone launcher most often. You can get more than 1400 icons here. The design is unique, future proof with big and bold icons. Their 220 x 220 pixels icons look very good in HD and 4k resolution display. There are some secondary features such as quick search, dynamic calendar icons etc. available in Aris launcher. Frequent updates is another great feature also. Gim is our 10th pick in the list gives you long shadows – candle or lantern can give you. They use recommended Google’s material design for design purpose. The icons look vibrant and lively and you can recognize without the name of the app. The shapes are customized and different from each other. A search feature, dynamic calendar support, and dock support are also available here. 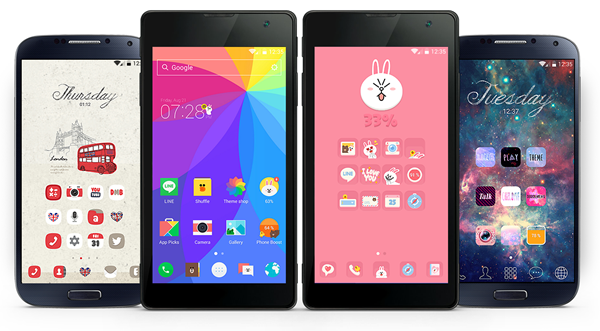 PINN is based on the material design with a flat icon pack. Strong vibrant colors, long shadows and minimalistic wallpaper is the main attraction of PINN launcher. Hope you like this launcher and use once. Many user love to keep their phone theme simple and clean. Whicons features white-colored icons to give you that feel most often. Here you will get over 5000 icons and a frequent update will give you more icons each time. Mond Icon Pack avails 2000 icons. The icons are rounded corners, big and look great. But the icons of unsupported apps are also same. And if you love square icons with rounded icons, then you should love this one. Rugos feature crumpled paper look with unique style on the icons in the pack. It suits any wallpaper and that’s the best feature of it. Personally, I like it very much. It feels it look like made of paper. Pangpang is the last pick that contains a lot of different icons. 500 icons may seem little but it supports the main apps and auto icons look amazing as well. You will get 6 different wallpapers which fit home screen very well. To setup your Nova launcher theme, the first thing you should do is to choose your favorite Nova Launcher from the above list and download it in order to use it. Then install it like you would any other app by heading to the Google Play Store. Tip: If your Google Play Store stops working, please find solutions here. After the Nova Launcher is installed, you need to set it as your Android default launcher. If your Android is running Android 7.0 Nougat or newer, find the Apps sub-menu -> tap the Settings icon in the upper right corner -> scroll down and tap Home app -> choose Nova Launcher from the list. If your Android version is anyone between 4.4 KitKat and 6.0 Marshmallow, go to the Settings menu -> find the Home sub-menu -> tap Advanced -> select Nova Launcher. On phones running Android 4.4 KitKat or older, there is no home screen selector in the Settings menu. You have to head to the Settings menu -> tap Apps -> swipe to the All tab -> scroll down and tap on your current launcher -> hit the Clear defaults button -> press your Home key -> select Nova Launcher from the options presented. Tip: If unfortunately, some or all data are lost during the setup process, please run this Android Phone Recovery tool as soon as possible to recover your deleted data from Android device. We are now at the end of writing and hope you like our 15 Nova launcher themes. Tell us your feelings on our pick.